to be the pride of any garden. years for a traditional taste! Click here for other varieties!! Over the past decade, we have strived to bring the most extensive lineup of premium, gourmet and heirloom vegetables and herbs to your garden. Chef Jeff Vegetables and Herbs are grown with your gardening success in mind. 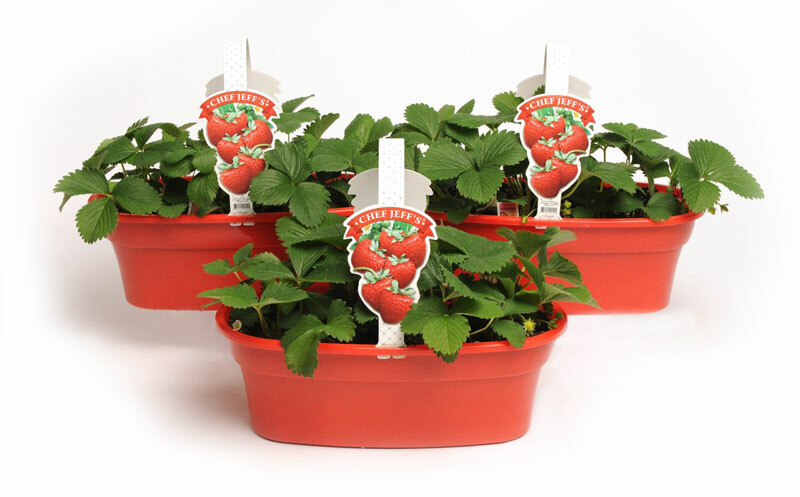 Our growers raise plants for strength, cold tolerance, and vibrant, well-developed root systems. You can be assured that no chemical growth regulators or harsh chemicals are used! Your healthful, bountiful vegetable and herb garden is our goal. The freshest vegetables and herbs abounding in vitamins, minerals and antioxidants are part of the rewards of your garden. You’ll have the satisfaction of knowing how and where your produce was grown. Share the gardening experience with your entire family. Working together in the garden creates strong family bonds. Beginning gardeners develop a sense of how important it is to be environmentally responsible. Children learn the growth cycles of plants and team work. Gardening is fun, too! Start some family competition; see who can grow the biggest tomato or the largest pumpkin? Exercise, good nutrition and relaxation – gardening offers so much! We hope that you and your family enjoy both old time favorites and some new varieties that Chef Jeff offers. Thanks for your interest in Chef Jeff Vegetables and Herbs. Happy Gardening and Bon Appetite! Chef Jeff vegetables are available at finer garden centers throughout the midwest. ©2014 Chef Jeff's Vegetables. All Rights Reserved.